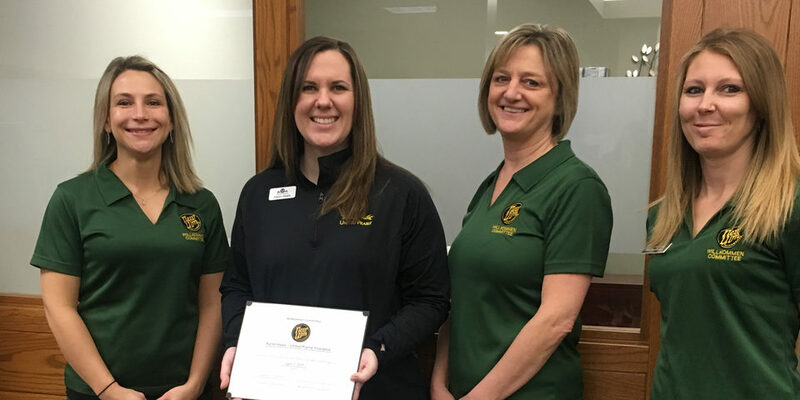 The Willkommen Committee recently welcomed the New Ulm Basketball Association (NUBBA) as new members of the New Ulm Area Chamber of Commerce. Jeff Boettger, vice president of the association, spoke to the committee. NUBBA sees the value in a chamber membership as they would like to grow and expand the program. They know that being a chamber member is a great way to make connections. They have about 200 kids in grades K-8 signed up this year, and that number has been growing. They host a large tournament in February that brings 150 teams to New Ulm over two weekends. The NUBBA Board is made up of 15 members, and they are always looking for volunteers and board members. Want to get involved but don’t have a child who plays basketball? That’s ok! Contact them at nubbapresident@gmail.com, or find out more at www.newulmbasketball.com. 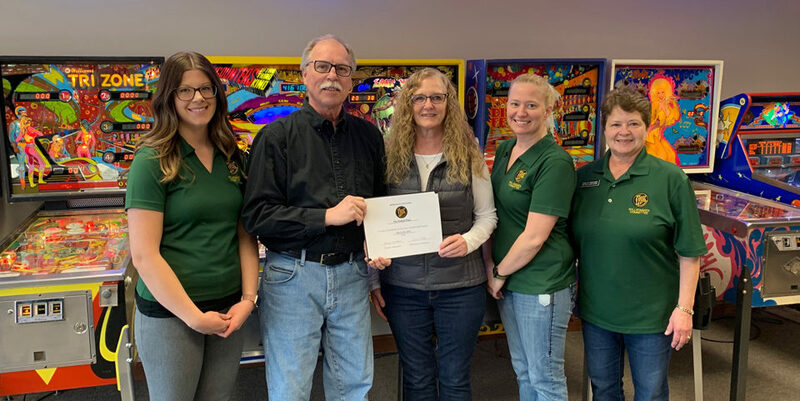 In the photo are: Kathy Van Roekel, NU-Telecom; Jeff Boetgger, NUBBA; Pam Kitzberger, Oak Hills Living Center; Randy Schroeder, Frandsen Bank & Trust.